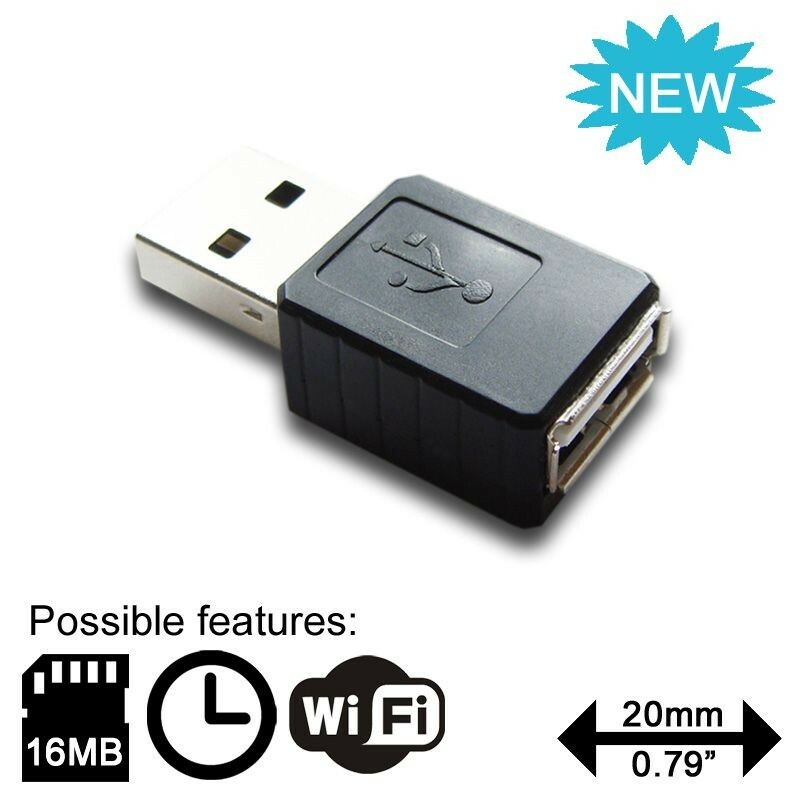 Unbelievably small USB hardware keylogger. Simply resetting the limits. 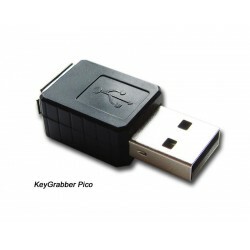 This powerful newcomer is the state of the art, sub-miniature version of KeyGrabber Nano USB hardware keylogger. Using same logging engine to offer industry's best compatibility and features. Being less than 0.8 inch long, Pico is the cutting edge design with size factor comparable to USB cable plug. 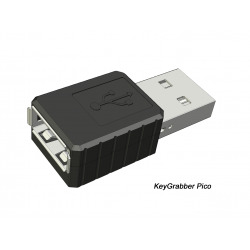 KeyGrabber Pico is setting the new industry's standard with simple fact: it's the smallest and best featured USB hardware keylogger ever. Choose your Pico USB hardware keylogger model from the selection including TimeKeeper and WiFi enabled models! Warning! Beware of the fake so-called "Pico" devices released by competitors! Read the product description for more information. 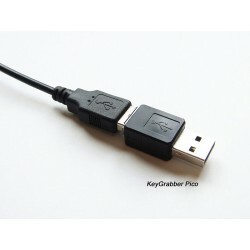 KeyGrabber USB Pico - state of the art design of the smallest USB hardware keylogger ever. USB cable plug sized Pico is significantly smaller than Nano and Classic keyloggers. Released in 2018, basing on new hardware but using same, well known logging engine from KeyGrabber Classic & Nano and offers same compatibility. 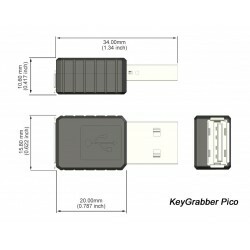 For many years KeyGrabber Nano was the industry's smallest USB hardware keylogger available on the market, but now it's been superseded by the cutting edge Pico keylogger. When there is no room for compromises: Pico is the only option. Warning! Beware of the fake, so-called "Pico" keyloggers released by competitors. 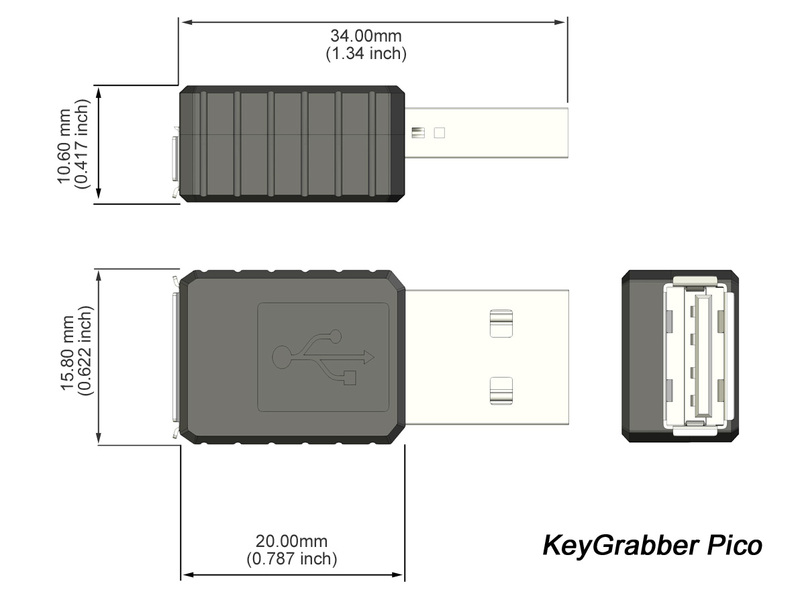 The only genuine KeyGrabber Pico USB is always made by KeyDemon and it's 43% smaller (body volume). Original Pico is 20.00mm long, 15.80mm wide and 10.60mm thick (0.787 x 0.622 x 0.417 inch) when the fake so-called "Pico" products are: 21mm long, 19mm wide and 12mm thick (0.827 x 0.748 x 0.473 inch). Compare all three dimensions (length, width, height) and help us to fight counterfeiting by choosing the genuine KeyGrabber PICO. Pico USB hardware keyloggers line has been equipped with modern WiFi module, available as an option, offering hi-end remote access features with affordable price. 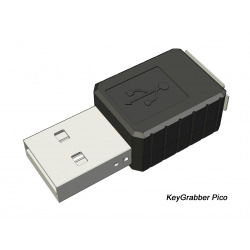 All KeyGrabber Pico USB keyloggers are offering the super fast data retrieve, achieved by switching into USB Flash Drive mode for download as it's a common market standard for all good hardware keyloggers. This extremely small hardware keylogger is completely transparent for computer operation, no software or drivers required. Supports national keyboard layouts with selection of 47 national layouts available (yes, it logs NumPad numbers). As all of our products, Pico is made in the European Union (Poland). WiFi: extending connectivity features to access your data remotely (WWW interface, real-time data access, Access Point mode, WiFi client mode, FTP backups, e-mail reports and more). All WiFi modules integrates the Network Time Protocol based, software basic date&time stamping emulation, activated when no hardware Time Keeper module. Please choose the model you need as features for Pico hardware keylogger can't be mixed freely, there is simply no room inside.